In January 1942, German submarines began attacking merchant vessels along the East Coast. With the military unable to respond in force, CAP established coastal patrol flights to deter, report and prevent enemy operations. CAP’s wartime record ensured its postwar future. On July 1, 1946, President Harry S. Truman signed Public Law 79-476, incorporating the organization. Following the creation of the U.S. Air Force as a separate branch of the armed services, Truman signed Public Law 80-557, establishing CAP as the Air Force’s civilian auxiliary on May 26, 1948. The terrorist attacks of Sept. 11, 2001, ushered CAP into a new era of homeland defense. The following day, a CAP Cessna 172, the only nonmilitary aircraft allowed in the nation’s airspace, provided emergency management officials the first high-resolution images of the World Trade Center site. Nationwide, CAP volunteers transported blood and medical supplies, provided communication and transportation support and assisted state and federal officials. On Aug. 28, 2015, Gen. Mark A. Welsh III, Air Force chief of staff, announced CAP officially a member of the U.S. Air Force’s Total Force, joining the regular, guard and reserve forces as American airmen. CAP’s work in response to hurricanes Katrina and Sandy, the Deepwater Horizon oil spill and other emergencies has continued to demonstrate the cost-effectiveness and potential of dedicated volunteers who embody the CAP motto: Semper Vigilans . . . Always Vigilant. 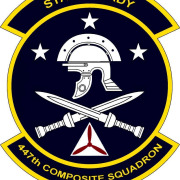 Would you recommend CIVIL AIR PATROL / Clearwater Composite Squadron, SER-FL-447?